Earlier today, someone set up a Facebook account https://www.facebook.com/mark.liberman.121, with a version of my FB profile picture, and began communicating with people as if they were me. My actual FB page is https://www.facebook.com/mark.liberman, which I don't use much except to look at things that people tell me about. This is apparently a phishing enterprise. The impostor asks people for their phone number and email address and postal address — at least one person gave them this much information — and eventually gets around to money. Prepositional phrase attachment is one of the hardest things for English parsers to get right: if I hit a man with a bag of groceries, was that bag of groceries the instrument of my action, or was it just something the guy was carrying when I attacked him? And PP-attachment ambiguity is especially common in English-language headlines, since omitted forms of to be add additional ambiguous attachment points. For example, Alex Barker, "EU reforms to break up big banks at risk", Financial Times 1/29/2015: Are the reforms at risk, or are the reforms on track to break up banks that are at risk? We wish to thank Reviewer 2 for their critical feedback & sincerely apologize for not having written the manuscript they would have written. Some clarifications about my Wall Street Journal article, which seems to have led to some misunderstandings among Language Log’s readers (as well as over at Languagehat). Since the readers here are the most well-informed audience that piece will ever reach outside of professional linguists, I thought it’d be useful to clarify what I based the observations in that piece on. John McWhorter has an ambitious article in the Wall Street Journal for 1/2/15: "What the World Will Speak in 2115: A century from now, expect fewer but simpler languages on every continent." The article covers a lot of ground and includes much daring prognostication along the way. I won't attempt to summarize everything in this rich essay, but — so far as Mandarin goes and so far as one is willing to make predictions about the future based on current circumstances, trends, and available data — I think that McWhorter is right on the mark. Phishers trawling for email account names are generally smart enough to pull all sorts of programming tricks, forging headers and obtaining lists of spammable addresses and setting up arrangements to capture login names and passwords obediently typed in by the gullible; but then they give themselves away with errors of grammar and punctuation that are just too gross to be perpetrated by the authorized guys at the communications and technology services unit. I received a phishing spam today that had no To-line at all (none of that "undisclosed recipients" stuff, and no mention of my email address in it anywhere). It looked sort of convincing in its announcement that webmail account holders would have to take certain steps to ensure the preservation of their address books after being "upgraded to a new enhanced Outlook interface". (My own university has, tragically, been induced to do an upgrade of this kind to its employee email services.) But the linguistic errors in the message begin with the 13th character in the From line (that second comma is wrong). I reproduce below the raw text of what I received, stripping out only the locally generated receipt and spam-checking headers (and by the way, this message—spam though it is—succeeded in getting a spam score of 0). "Chinese character" is the name for a moth in this Wikipedia article. At first when I read the article, I thought that there must have been an error. But when I started to check around, I discovered that the same English name for Cilix glaucata occurred all over the place. 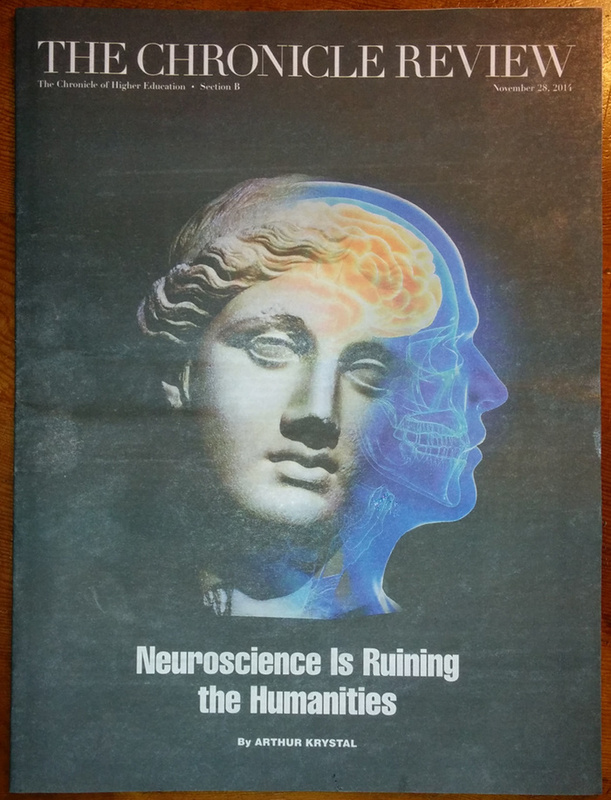 A couple of months ago, I got a copy of The Chronicle Review with a cover story by Arthur Krystal called "Neuroscience is ruining the humanities". Actually there are two semi-falsehoods in that sentence. In the first place, I actually got the physical publication in the mail about a week ago, even though the issue is dated November 28, and the online article is dated November 21. That's because I live in a university residence, and my university apparently picks up the mail from the post office from time to time, sends it somewhere to be sorted at leisure, and then delivers it to its various destinations by occasional caravan. The second misleading statement concerns the article's title: the online version is now called "The shrinking world of ideas". 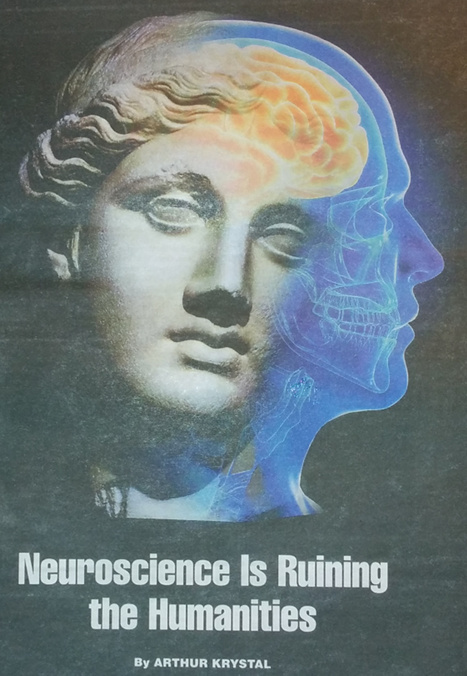 Since the URL is still "https://chronicle.com/article/Neuroscience-Is-Ruining-the/150141/", we can guess that the online article's title was changed after the fact. Thereby hangs a tale, though I can only guess what it is. I am working with a client who insists that it is grammatically incorrect to use Get There First as a tag line. For the life of us, we cannot figure out what is grammatically incorrect about this phrase. Can you shed any light on our mystery? 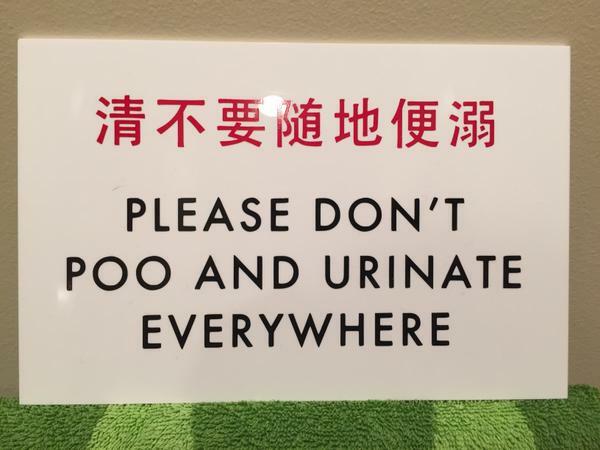 Of course I can! 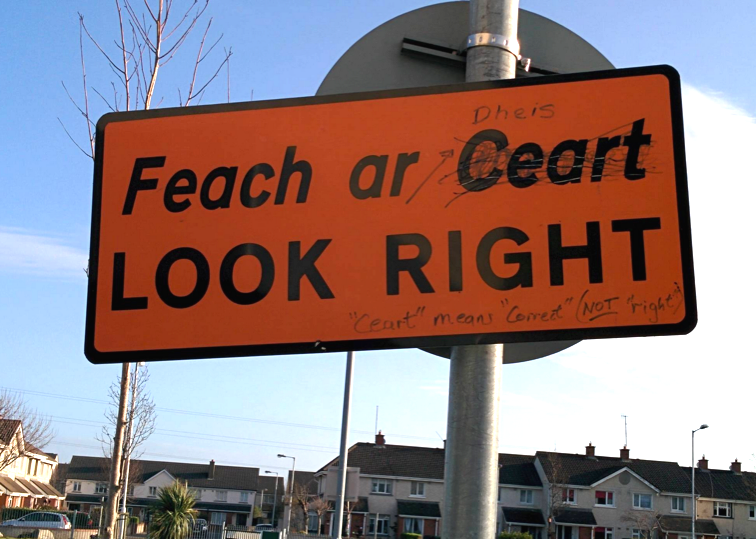 Here at Language Log we solve half a dozen grammar mysteries of this sort before breakfast. I can not only finger the client's reaction as classic nervous cluelessness; I think I can identify the etiology of the mistake.